We first created the roll cage lifter for a major logistics business. Since then, it’s become extremely popular, especially among hauliers and major roll cage users, such as supermarket chains. The creation of the roll cage lifter came on the back of the LoadLifter, which we’d developed ten years previously for one of the UK’s main supermarket chains. 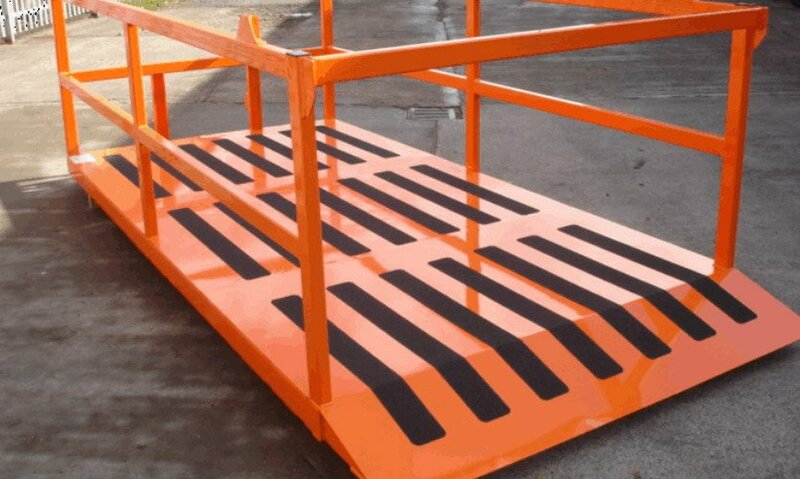 The LoadLifter is designed to enable roll cages to be safely loaded and unloaded on to articulated vehicles. Our roll cage lifters all incorporate ‘anti-jump’ mechanisms, which keep the roll cage firmly in place. And they also feature an elevated heel pin, providing superb retention, as well as anti-slip flooring. For more details about our roll cage lifters or to discuss your requirements with us, contact us on 0113 277 1222 or sales@invicta-attachments.co.uk. In the meantime, don’t forget to check out our roll cage supports and LoadLifter.